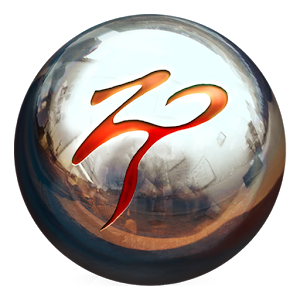 Zen Studios is well-known for its pinball games of popular franchises, such as Portal, Marvel, The Walking Dead, and Star Wars. The company is back with another one entry to the series now, themed by game developer Bethesda titles. The three franchises used here are The Elder Scrolls V: Skyrim, Fallout, and DOOM. 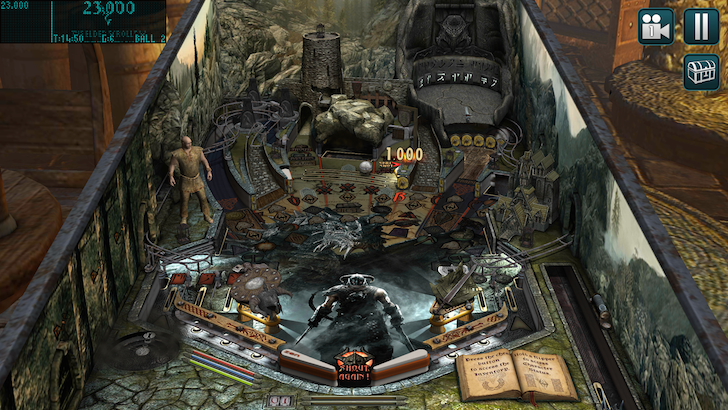 I would compare the gameplay on these three pinball tables; however, because of the game's in-app purchases, I have only managed to play the Skyrim one. Which was fun - it reminded me of wasting away hours on the Windows XP pinball game. To play the Fallout or DOOM tables, you either have to pay real money for in-game coins, or earn money on the Skyrim table. 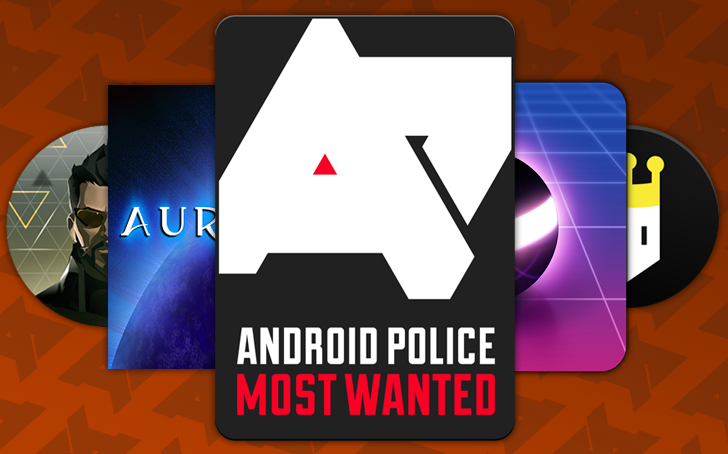 Android Police's bi-weekly roundups have covered more than 750 games this year. That's a hell of a lot for a site that's not specifically about gaming, and picking out the top five is no small task. Before you read any further, take note of the following: I had a few criteria that games had to meet before being included in the following selections. You think you know pinball, right? There are hundreds of variations on the game, thousands of themed layouts to freshen up the experience, and millions of dollars in IAPs to unlock this ball or that theme or that bonus. 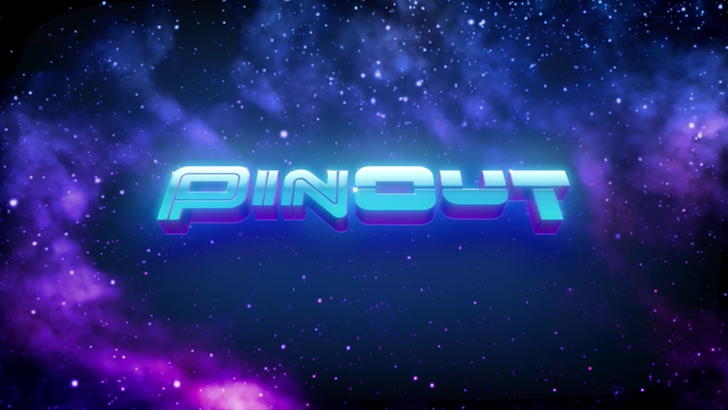 But PinOut is different, and the first sign is that it comes from the same guys that gave us Smash Hit, Does Not Commute, Granny Smith, and other beautifully and thoughtfully designed games: Mediocre. Unlike what their name might make you expect, Mediocre's games are fantastic and PinOut is no exception. Somehow, the game is both dark in its environment yet vibrant with its neon colors, both retro in its music and menus yet modern with its 3D graphics and layered platforms. Are you a fan of cartoons produced, owned, and distributed by Fox Broadcasting Company? Hey, then it's your lucky day—well, unless you don't like pinball. 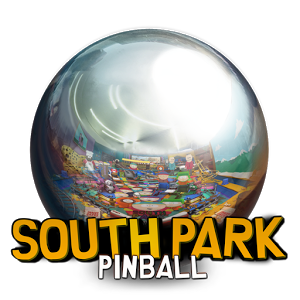 Zen Pinball now has tables based on Bob's Burgers, Archer, Family Guy, and American Dad. After Star Wars, Marvel, and The Walking Dead, it seems like just about any property is fair game for Zen Studios' expanding pinball franchise. The latest addition is South Park, Comedy Central's foul-mouthed animated show now in its 18th season. As usual with Zen Pinball expansions, you can get the two new 3D tables as either a stand-alone paid app or as in-app purchase expansions to the original game. The separate app is $4, or each table is $2, so it works out the same. The first table is just general South Park stuff, featuring a staggering number of characters, references, scene items, and voice clips from the show. Is your relationship with family and friends a little too good? PinWars can take care of that by taking a nice game of pinball and turning it into a super-competitive button-mashing frenzy. It does look neat, though. 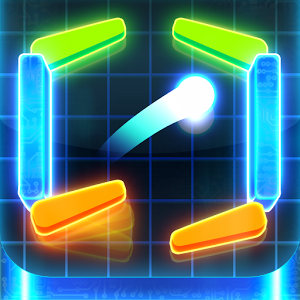 The headlining game mode in PinWar is the two-player setup where each person grabs onto one end of the device – probably a tablet – and taps away to control their flippers. It's kind of like Air Hockey, but with pinball rules. In addition to the human-on-human carnage, there are AI levels to beat, as well as various challenge missions. The intriguing part of PinWar is that the levels aren't just generic pinball tables with different junk in them. Sony knows you like playing pinball, but they also know you tend to reach for the volume rocker after you launch the ball into the first bumper and it sets off a cacophony of sound. They know that all that pinball experience needs to be perfect is background music that overpowers those obnoxious pinball sound effects. 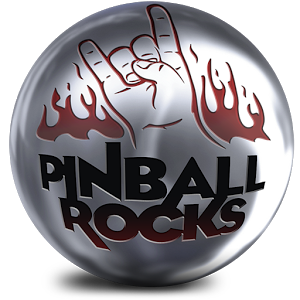 So they've brought in hits from rock bands both new and old to provide the soundtrack for Pinball Rocks HD, an experience Sony's pitching as the loudest pinball game ever. It's well-rated on iTunes, but now that it's available on Android, it's really ready to rock. If you're the kind of fan that absolutely must have a Star Wars version of everything in your life, then grab your officially licensed Ahsoka Tano phone case and head for the Play Store. Zen Studios, makers of the well-received Zen Pinball HD, have released their Star Wars-themed pinball app, creatively titled Star Wars Pinball. It's a reasonable $1.99, but unfortunately restricted to Android 4.0 devices and above, and thus tragically off-limits to the Special Edition R2-DROID2. The game comes with the Empire Strikes Back table, and the Boba Fett and Clone Wars (The Cartoon Network series, not the lamentable prequel) tables can be downloaded for another two dollars each.